We have 16 office locations to serve you in Newfoundland and Labrador. Click on your location to find the nearest office. We're the folks you want to talk to. Call now for a Quote. Finding great value in auto insurance protection is all about finding a great company that provides the discounts and additional protection at the right price. We’ll proudly compare our protection to any competitor and show how clients get more for less with Anthony. Driving Experience Discounts: Years of driving counts with Anthony! Receive extra discounts up to 15% for good driving experience; along with extra savings for mature drivers. Low Mileage Discounts: Drive less; pay less; so simple…yet so hard to find! At Anthony, we get it! Enjoy lower rates along with an extra discount of 10%! Insure More – Pay Less: Insure more than one car with us and clients could save up to 12% off certain coverage for each vehicle! 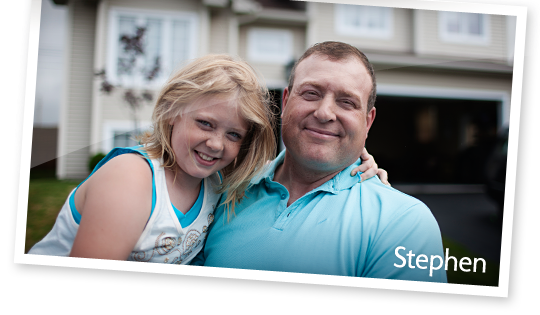 Bundle and Save: (my Home and Auto): Insure auto and home with Anthony and reap the savings – up to 25%! Deductible Savings: We invented “right-sizing your deductible”: We’ll show clients how to find just the right deductibles and significantly lower premiums. Student Discount: If a client’s child is studying at a college or university more than 160 km away from home, chances are he or she doesn’t get to drive the family car a lot. We recognize this special circumstance and will give 50% off the additional mandatory coverage and collision premium charged for the young driver. Driver Training Discount: Proper training pays! If a client has successfully completed a driver-training course from a recognized driving school, they are eligible to receive additional savings! Hybrid Vehicle Discount: An additional 5% discount for a Hybrid vehicle. Packaged Extras: If a client chooses to add the Loss of Use, Waiver of Depreciation, and the Rental Vehicle endorsements to their car, they can save up to $25! Better Payment Plans: Anthony Insurance offers qualifying customers a superior interest-free bank deduction plan that is truly interest free! No hidden costs or fees. My Achiever™: If a client has been claims-free for 6 years or more they may be eligible for a waiver of deductible if the hit-and-run damage exceeds $1,000 or the car is a write-off after an accident. No extra charge. Depreciation Protection: Our waiver of depreciation extends out to 30 months from the purchase date of a new car and not the standard 24 months in the case of loss or damage. That’s six extra months of included coverage. Loss of Use: Clients can rent a car if theirs is being fixed due to covered physical damage — and we’ll pay for it up to $1000 per occurrence! Rental Car Coverage: This covers loss or damage to a car not owned by the client for which the client is liable, such as a rental vehicle. So, with this coverage, drivers listed on the policy won’t have to pay for extra insurance if they rent a car — a cost that can really add up. Emergency Road Service: This adds coverage for emergency service expenses when the client’s car is disabled. Simply provide your information below and we'll contact you whenever it's a good time for you. Thank you, we'll contact you soon!